Almost every betting site offers a bonus to new players. Betting companies are savvy enough to realise that players are always looking for such opportunities and that everyone likes “free money”. Deposit bonuses attract many players to a new betting site. Factors such as payout speeds and overall odds aren’t as important to some as the money they can win for simply making their first deposit. While bonuses are a great way of adding to a bankroll, certainly for some bettors, there’s more to it than just making a deposit and collecting the winnings. With that in mind, these bettors need to do their homework to ensure that they’re getting a fair deal when it comes to which bonus offer to go with. Before we move on to the best offers for matched betting, here is a rundown of the more popular types of bonuses. Most bonuses offered by sports betting sites are “free play” bonuses. Bettors are given a percentage of their deposit in the form of a free play. The free play includes an attached rollover rate. There’s one significant difference between a cash bonus and a free play. When a player makes a bet from their free play balance, the cash is taken from the balance, no matter the result of the bet. Free play bets don’t refund the player’s stake when crediting their account with the winnings. Instead, they simply credit their cash balance. There are countless cash and free bet offers available online. They’re usually highlighted on each individual betting site or can be seen on comparison sites such as bestbettingsites.uk, where you can see each bonus at a glance, along with a code to apply said bonus. To sum up the main difference between cash bonuses and free bets, with a cash bonus, the stake is returned with the profits from the winning bet. For this reason, cash bonuses are preferred over free play bonuses. Bonuses aren’t as straightforward as depositing funds and receiving a refund. When players accept a bonus offer, they’re required to agree to a set rollover rate and need to meet these requirements before they’re free to cash out their bonus. Each bonus has a rollover. At most betting sites, this means the number of times that the initial deposit, along with the bonus, must be bet before the players can withdraw the bonus. Bear in mind, however, that it’s difficult to clear bonuses with higher rollover rates. In fact, it’s almost impossible to clear any in the 10/12x range or higher without substantial loss. Players can bet the required amount to clear their bonus. However, there are a number of ways that they can maximise their Expected Value (EV) when they clear their deposit and reload their bonuses, as opposed to betting on their favoured selections. One such way is a betting parlay. As free plays work differently than when money is taken out of a bonus or cash balance, parlays allow players to bet the same amount multiple times. As opposed to straight bets, they allow the player to bet the same amount multiple times on multiple different selections. Not unlike a deposit bonus, minus one distinct exception: it doesn’t relate to the bettor’s first deposit on the site. Most sites offer big bonuses on an initial deposit, but they don’t always offer anything else if the bettor is having a bad run of luck. When a reload bonus is offered, it’s worth taking even if the bettor isn’t presently considering funding their account. Bear in mind that some betting sites will offer this type of bonus all year round. Many, however, offer them for promotions only. Some offers lend themselves to different betting strategies. One of these strategies is matched betting. The best offers, of course, are those where a win a guaranteed, such as a sign-up offer where the bettor wages a specific amount in order to claim a free bonus or bet. Other matched betting offers include a potential profit, which won’t see the player winning on each bet. If the odds play out, however, they should at least profit over time. Your initial focus with matched betting should be to slowly build your balance while benefiting from welcome bonuses. Fortunately, there are numerous welcome bonuses that afford you the opportunity to practice and gain experience at no risk to you. 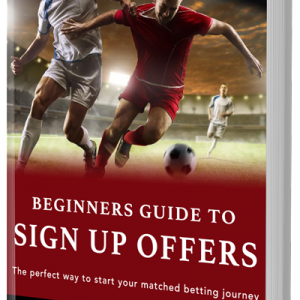 Before you decide that you wish to try your hand at matched betting, you’ll need to consider which bookmakers offer the best promotions that you can turn into a profit. Here are those with the most generous offers for matched bettors right now. Ladbrokes offers a generous £50 matched bet. You have the potential to make over £40 from just this offer alone. You will only be required to place a total of two bets, as there isn’t a requirement regarding turnover. Betfair offers new bettors a risk-free £20 bet. You simply need to play your wager and if it loses, you get your initial stake back. You’ll need to use a second exchange in addition to Betfair, however. William Hill offers one of the best bonuses on the market. You get £30 in free bets just from placing a £10 bet. The freebies are credited as three £10 bets. This means that you won’t need as much money in your exchange account to lay against these bets. At this stage, you should have a good understanding of what’s involved in different types of bonus and which are more suitable for matched betting. When taking your first steps in matched betting, you can build up your bank to the point where you will also benefit from other offers. Resist the temptation to run before you can walk and accept some of the more generous stake offers that require far larger bonus rollovers and come with a greater chance of making a costly mistake.